Annie Winifred Ellerman, the daughter of a wealthy British shipping magnate, traveled extensively throughout Europe, the Middle East, and the Mediterranean with her parents. She took her pen name Bryher from one of the Isles of Scilly. She became a close friend of the "Lost Generation" of writers and artists in Paris in the 1920s and helped support some of them financially. Her first husband was American writer Robert McAlmon, who later wrote a memoir of those years called Being Geniuses Together (1938). In 1927, she joined her lover Hilda Doolittle (who wrote under the name H.D.) and second husband Kenneth Macpherson to launch The Pool Group, which made silent avant-garde films and published a progressive and opinionated monthly film journal called Close Up. Bryher and Macpherson formally adopted H.D. 's daughter Perdita, and lived and raised her together with her mother in Switzerland, London, and Paris. In 1933, Bryher began using her home on Lake Geneva in Switzerland to help Jewish refugees escape from Nazi Germany. She herself then had to flee to England, where she managed a literary magazine. 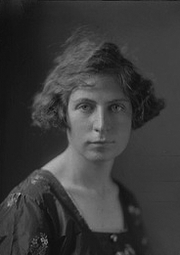 She later wrote acclaimed historical novels and a memoir of her years in London before and during World War II. Bryher is currently considered a "single author." If one or more works are by a distinct, homonymous authors, go ahead and split the author. Bryher is composed of 9 names. You can examine and separate out names.